If you’re reading this then you’re probably trying to decide which of Tanzania’s two ‘chimpanzee parks’ (the other being Mahale Mountains) to visit. The answer probably comes down to simply how much time you have available and, perhaps more importantly, how much money you have at your disposal. The chimps here, which were originally studied by famous primatologist, Jane Goodall, are amazingly well habituated and hardly bat an eyelid at human presence. There’s a good chance they’ll walk right past you, maybe even brushing against you as they go. So in that sense there’s little to choose between here and Mahale. However, without doubt Mahale is scenically more impressive and has better accommodation. But, for budget travelers in particular, Gombe Stream is easier and cheaper to get too and has cheaper accommodation. You can take a local boat known as a lake taxi straight to the park for a few dollars from nearby Kigoma town. However, for me if time were no object (or money) then I would probably choose Mahale over Gombe simply because of its scenic beauty and sense of isolation, but really there’s not a lot to choose between the two. Tanzania’s smallest national park, set on the shores of Lake Tanganyika, is most famous for the pioneering chimpanzee research project that was initiated there by Jane Goodall in 1960, and now stands as the world’s longest-running study of an individual wild animal population. The main reason you’d visit is too track chimps, which is an utterly marvellous experience, even if most of the celebrity chimps featured in Goodall’s books and films are now long dead. 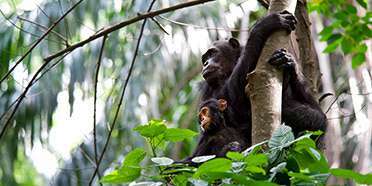 In my experience, the only place that offers comparably good chimp tracking is Mahale Mountains, and while the latter is preferable for its overall wilderness atmosphere and more varied wildlife, Gombe has the advantage of greater accessibility on a budget (you can actually get there using daily boats from nearby Kigoma, the main port and transport hub in this part of Tanzania). Other wildlife includes a beachcomber baboon troop that has also been studied for decades, three species gf monkey - red-tailed, blue and red colobus, the latter frequently hunted by chimps – and a checklist of 200 bird species including fish eagle, palmnut vulture and Peter’s twinspot, all of which frequent the camp. 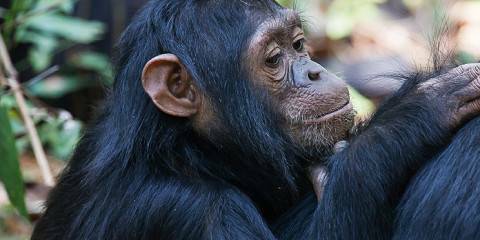 Gombe is a fragile strip of chimpanzee habitat straddling the steep river valleys and tropical rainforest on Lake Tanganyika. Trekking to see chimpanzees here is a remarkable experience; although sightings are not guaranteed, they are habituated to humans, the guides usually know where to find them, and no scientific expertise is needed to recognise their distinctive pants, hoots and screams. 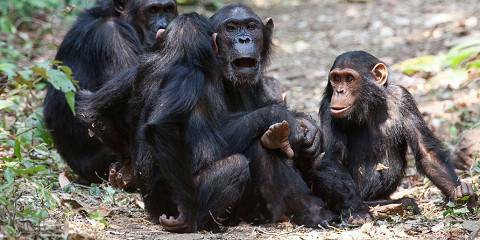 Besides chimpanzees, other primates include a troop of ‘beach-combing’ olive baboons, and red-tailed and vervet monkeys. I found the lake itself enchanting – we sat on the beach at sunset and watched the lanterns of hundreds of small wooden boats bobbing on the lake like a sprawling city. Gombe is not easy to get to – it’s a bumpy and arduous boat ride from Kigoma – and only appeals to those with a keen interest in primates, but is one of the few places in the world to see chimps in the wild. This wild and wonderful place on the shore of lake Tanganyika would be worth a visit without the obvious highlight of chimpanzee tracking. This is where Jane Goodall conducted her research. The chimps are amazingly habituated and didn’t seem to take any notice of me when I visited. Although the chimps have been known to walk through the camp, it can be quite a hike to find them. You are allowed to view them for an hour at a time. Once you got yourself in this remote, inaccessible place, you might as well stay for some days. In the 4 days I tracked the chimps, I found them feeding high up in the canopy, sitting on the forest floor grooming each other and marching through the underground, which proofed to be a real challenge to keep up with. The most exciting of viewing was when they were hunting colobus monkeys, which they only do occasionally. For anyone who loves watching primates, this is an experience not to be missed. 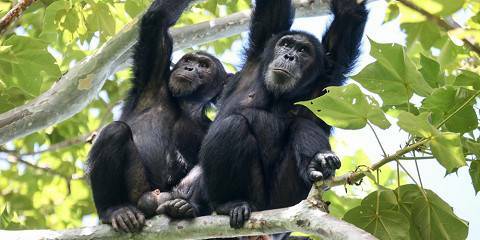 Meet the chimpanzees in Jane Goodall’s old stomping ground. Gombe is synonymous with Jane Goodall, who did her pioneering chimpanzee research here – research that continues today. The 100 or so chimps that live in the park are fully habituated and pay visitors nearly no mind during the hour you are allowed to spend with them. The juveniles in the group that I encountered spent most of the time wrestling each other while their mothers sat back and watched them the same as we did. Because of the steep hills and narrow trails, tracking gets tiring and during the rains it can be quite difficult. Gombe is far too small (52 sq km – the smallest national park in Tanzania) to host other wildlife of serious interest, though, there are a few monkeys, baboons and small antelope. Some people spend the afternoon after tracking back in the forest, but I opted to just take it easy strolling the beach rather than following the guide back up the mountains to a viewpoint and waterfall. Gombe sits on Lake Tanganyika and the only way to reach it is by boat: most boats take an hour and a half, although a good speedboat can halve this. Because the choice of lodging is limited to either camping, simple rooms in the park’s resthouse or an overpriced tented lodge, it’s worth considering Gombe as a daytrip from the city of Kigoma which has some good accommodation. But if you take this option, depart very early in the morning because people who begin tracking too late often end up not finding the chimps. And with the time and money needed to visit here, that’s a risk you shouldn’t take.